Multiple use, disease-resistance, as well as the possibility of cultivation in various agri-ecological conditions, make poppy a desirable plant for growing. The production, experts say, pays off, but is still not present enough in Serbia. 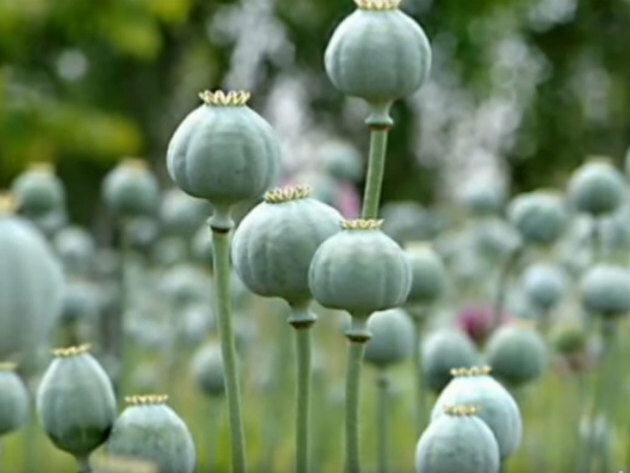 The reason for this are poppy's opiate effects, due to which the cultivation and the marketing are controlled in many countries, including Serbia. As the Ministry of Agriculture, Forestry and Water Management says for our portal, the Register of Agricultural Plant Varieties doesn't feature any variety (certified seed) of poppy, “which means that one can't legally produce or market poppy or import poppy seed in the Republic of Serbia”. They add that three varieties are in the process of being registered, which is expected to happen in 2019. 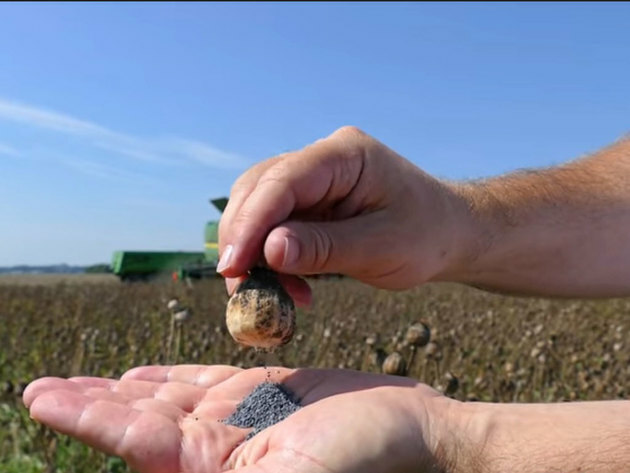 Even with these limitations, however, there are farms at which poppy is grown in Serbia, and the ministry says that these are family properties, mostly in Vojvodina, where the production is based on non-certified seed and for their own needs. The Ecoland Farms association in Telecka, which brings together organic agricultural producers, maintains small poppy cultivation areas. Valeria Balint, the president of this association, points out that they only grow bio-poppy, which is more expensive. – Poppy growing pays off, but is quite demanding. We sell it in Germany and the profit is satisfactory – our interviewee says and explains that the autumn poppy is better than the spring one and that it is sown by hand or using tractor drills. – We harvest it in early July, by hand, as tractor drills pierce the pods, causing the seed to spill out. In cleaning, one should take care not to affect the poppy seed, as it spoils quickly that way – Balint points out. According to the data of the Institute of Field and Vegetable Crops, poppy is grown on small areas in Serbia. In 2014, the areas covered a total of only 1,000 hectares, whereas the average yield amounted to as much as 900 kg per hectare. According to Vera M. Popovic, a research fellow of the institute, this makes it a profitable plant. Furthermore, it has a wide variety of uses. – Poppy is grown for its seeds or for the production of raw opium – our interviewee explains and adds that there is a long tradition of the use of this plant both as food and in medicine, for the production of oil and for preparing various specialties. However, it is precisely due to its opiate effects that the production of poppy is controlled in many countries and that only those varieties with low raw opium content may be produced, so it's not suitable for the commercial production of narcotics. Professor Djordje Glamondzija of the Faculty of Agriculture explains this for our portal, saying that poppy has high nutritional and energy values and a large number of forms, making it suitable for various climates. It also has moderate water needs and does well in low temperatures, so Glamondzija believes that producers will find the plant useful. – Yields amount to 1,000-1,500 kg per hectare. Multiplied by RSD 400, this amounts to gross earnings of RSD 400,000 to 600,000. The profitability of poppy cultivation also becomes clear when compared to wheat, which, at 5,000 kg per hectare and the price of RSD 16, amounts to only RSD 80,000 – Glamondzija explains and adds that production costs would amount to only RSD 50,000 for those who have personal mechanization. It originates in West Anatolia, and it was grown in Ancient Greece around 3,000 years ago as a pain and insomnia medicine. Today, poppy is used in the pharmaceutical industry and for food and decoration. In the baking and confectionery industries, whole or ground seeds, dark-blue to black in color, are used, whereas the white seed varieties contain much higher concentrations of opium. Seeds are cold-pressed to extract edible oil, whereas technical oil is produced through hot pressing. Poppy seed oil is also used in the cosmetic industry for hygienic products, whereas the chemical industry uses it for wood coating products and artist paints supplements.